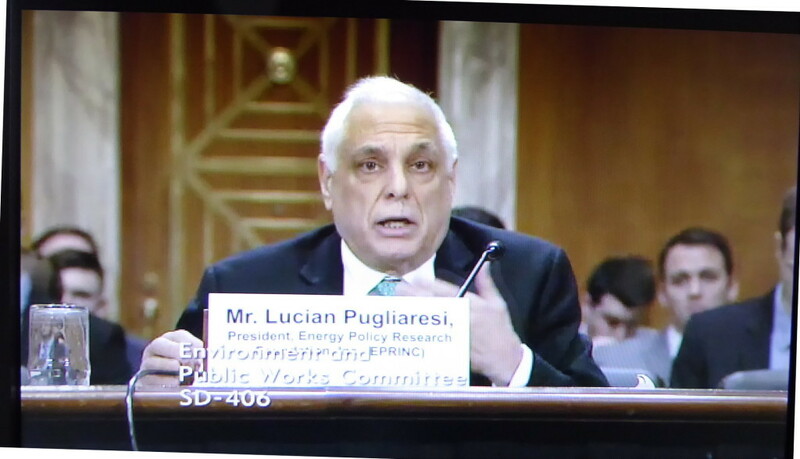 On September 19th EPRINC President Lucian Pugliaresi testified before the House subcommittee on Energy, Manufacturing, and Trade. 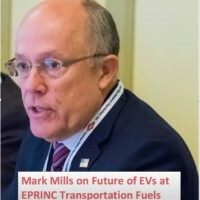 His full testimony is available below. 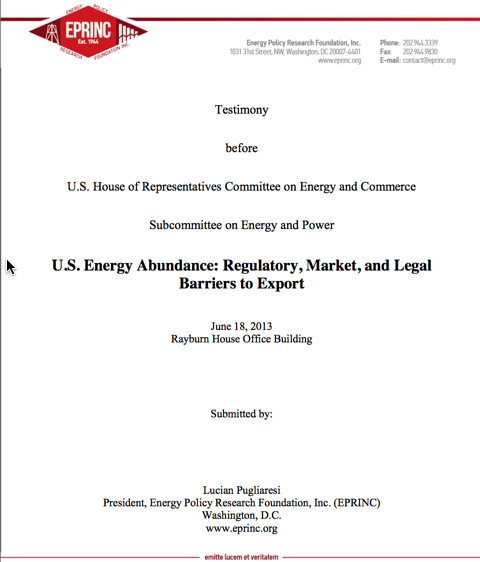 On June 18th EPRINC President Lucian Pugliaresi testified before the House subcommittee on Energy and Power. 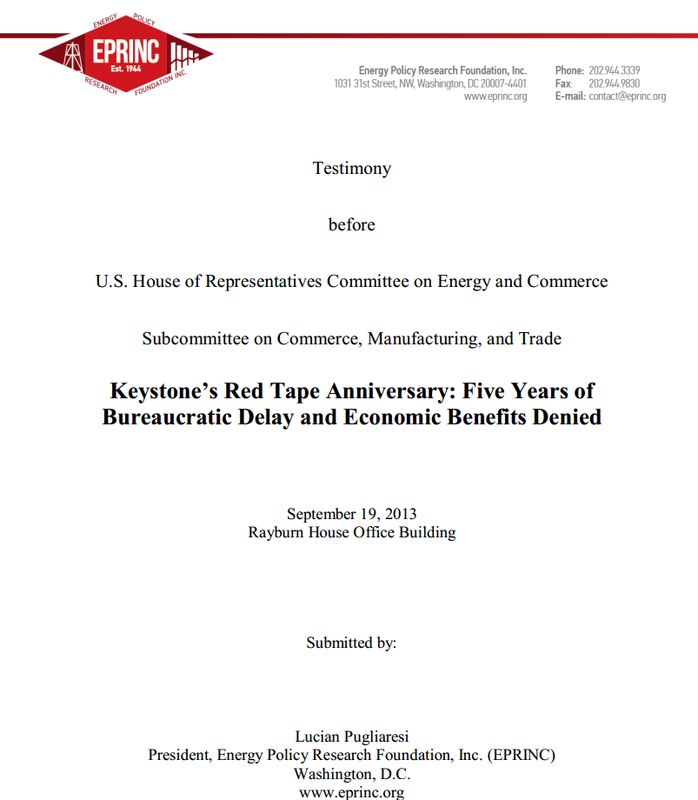 His full testimony is available below.